There are many wonderful options all over the world for Hispanic Studies majors and minors to study abroad. This page contains information that will assist Hispanic Studies majors and minors in determining how to integrate study abroad into their Brandeis careers. We understand that many students who major or minor in Hispanic Studies wish to study abroad in a Spanish-speaking country. We encourage this experience as something that is both academically and personally valuable, especially in the context of developing skills and cultural awareness in a foreign language. We have prepared the information presented here in order to help make the process of selecting courses that will count towards your major or minor at Brandeis easier. Visit the Brandeis Approved Programs List to review a comprehensive list of programs that offer coursework in Spanish and Portuguese. Click on "Advanced Search" to filter options or search for unique program traits like internships or research. Additional programs might have acceptable coursework, but this list shows the primary locations where AAAS courses may be available. 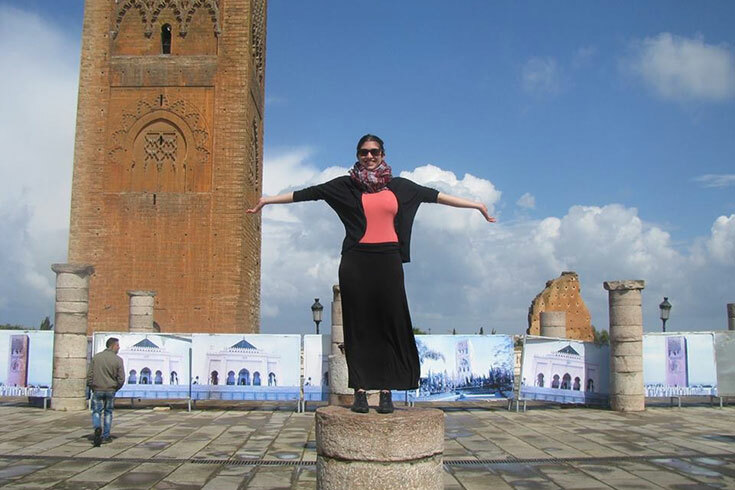 To assist students with their academic choices abroad and to help answer any questions about receiving major/ minor credit while abroad, each academic department and program has assigned a faculty member to serve as the Study Abroad Liaison. Majors or minors who plan to study abroad should speak with the study abroad liaison before they go abroad, and again once they have returned from study abroad. The liaison for Hispanic Studies is Prof. Jeronimo Arellano. The major and minor in Hispanic Studies at Brandeis comprise the study of the broad spectrum of language, literature, and culture from the perspective of textual analysis. For the Hispanic Studies program, a text may be anything open to interpretation; books, stories, films, television programs, people, clothing, events, all are texts because we can read them, that is, interpret them and comprehend them in terms of other contexts and situations. This means that, practically speaking, our courses could address questions of art, history, music, etc., but always from the disciplinary perspectives of textual analysis and Hispanic cultural studies. What is distinct in our program as opposed to other disciplines and fields is the tools we bring to analysis, the fact that, as students of Hispanic cultures, we are not historians, anthropologists, ethnomusicologists, etc., but literary and cultural scholars and critics. To be more specific, any course that we would teach in our Hispanic Studies program which a student takes abroad will count towards the major and minor. There are always exceptions to these general guidelines, which is why it's important to discuss your possible program of study while abroad with the study abroad liaison. Although you might not always receive the definitive "yes" or "no" that you would like to hear, s/he should be able to help you to make sense of all of this. Finally, it is always a good idea to keep all of the materials from each of the courses taken abroad for which you hope to receive credit: syllabi, handouts, exercises, quizzes, exams, papers, etc. That way, if any question comes up about a course, you will be able to sit down with the Study Abroad Liaison to review things. In order to formally request Hispanic Studies credit for the course, you must contact your Study Abroad Liaison upon your return to Brandeis and after you have received a grade for the course. The final step would be to fill out a "Petition to Request a Substitution for a Requirement." Jane's Travel Grants are awarded each year by the Latin American and Latino Studies program to Brandeis students to conduct research in Latin America, the Caribbean, and the Latin American Diaspora in the United States. Grants vary in size, depending on air fare, length of trip and project budget. The maximum grant is $3,500. Can I receive Hispanic Studies credit for courses taken abroad? Students may count two courses per semester of study abroad up to a maximum of four courses towards the major and up to a maximum of two courses for the minor. It is your responsibility upon your return to campus to ensure that the Hispanic Studies Study Abroad Liaison receives copies of all official paperwork regarding your study abroad. In order to ensure this, you will need to be in touch with the Study Abroad Office. Is it possible to study abroad and complete the Hispanic Studies major? Generally, students who study abroad for one semester have no difficulty completing the Hispanic Studies major. Those who choose to study abroad for an entire year may need to work with their advisor or the study abroad liaison to develop a plan that will allow them to finish the major on time, but this is very possible. Do I need to take any courses before going abroad in a Spanish-speaking country? To learn about the Foreign Language Requirement for Spanish-speaking countries, please see the Foreign Language Requirement page. Looking to fulfill a specific Brandeis Requirement? Wondering what major, minor, or general university requirement courses abroad may fulfill? Want to learn more about studying abroad? Contact the Study Abroad Ambassadors for advice and perspectives. 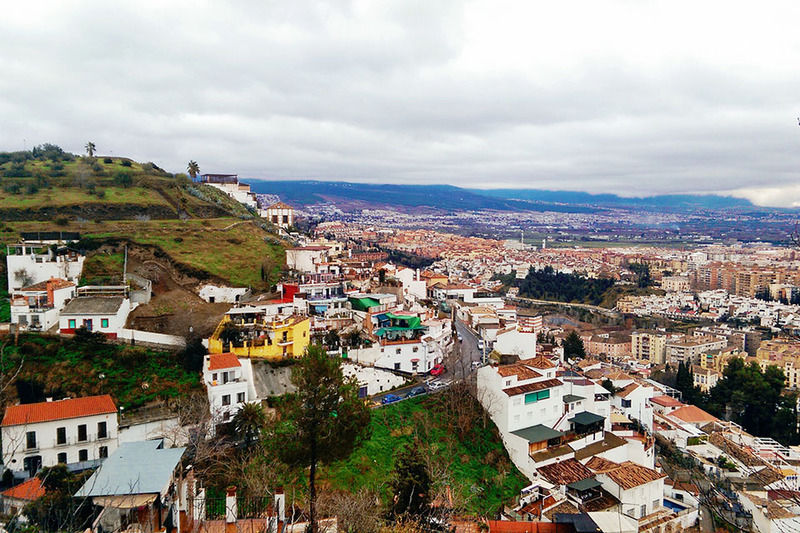 "I wanted to study abroad specifically in Granada, Spain to learn more about the long history, and IES Granada was a great way to have the support of the American program while the staff really pushed us to immerse into the culture and offered great classes taught by Spanish professors." The Department of Romance Studies is an affiliated program with the Division of Humanities at Brandeis University.